'Awesome Vases and Unique Vase Designs' for those who want to display flowers in style. 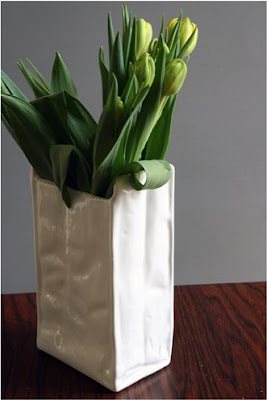 Ceramic White Paper Bag: An unusual vase shaped like a paper bag in ceramic. 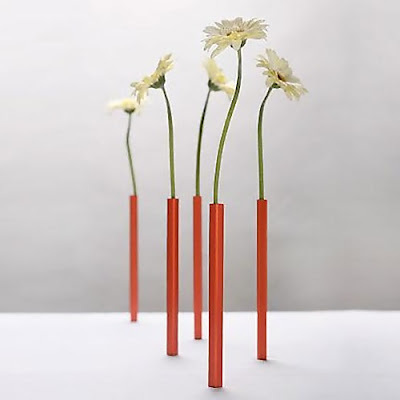 Kasvu Extendable Vase: This creative vase features a wooden part that can be pulled up or down to customize the height of the vase. 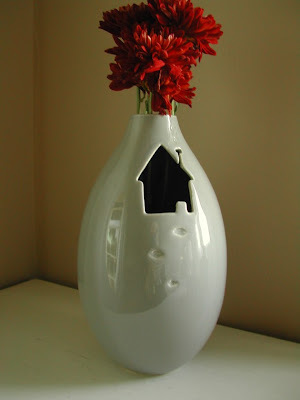 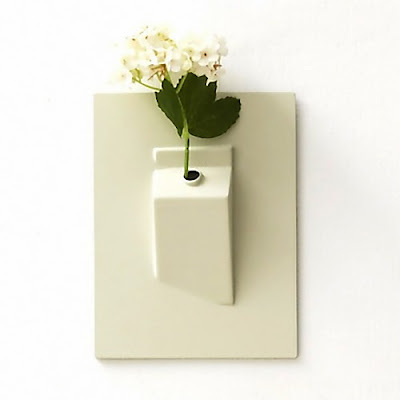 Flower in Flat Vase: This wall vase is shaped like a milk carton and comes with strong magnets that can be attached securely to any metallic surface. 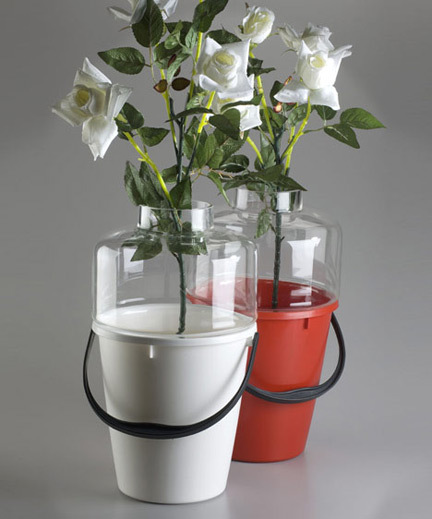 Bucket Vase: Designed by J Berdych, it's a simple plastic bucket transformed into a vase by adding glass on top. Unvase: An unusual vase made up of two elements featuring a solid and hollow arrangement that when put together creates an optical effect of a silhouette of a vase. 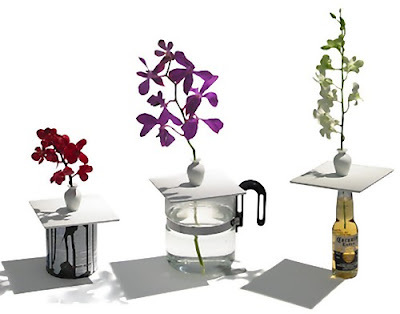 Vase Maker: An ingenious design by Ron Gilad that turns any container into a new vase. Vase by Robert Bronwasser: Designed by Bronwasser; one can group multiple vases together to create an intricate field of flowers. 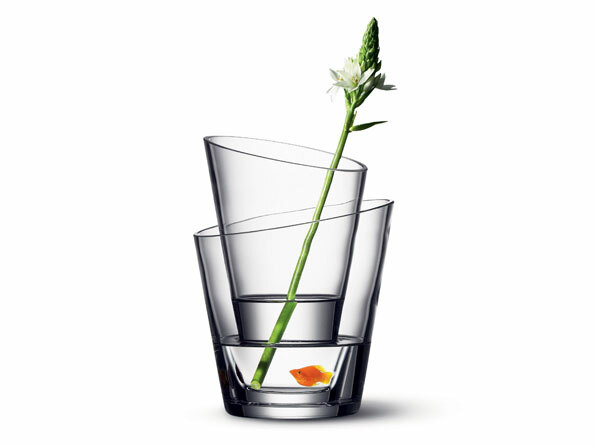 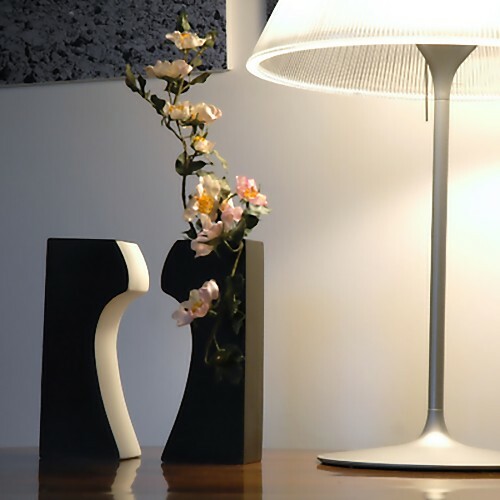 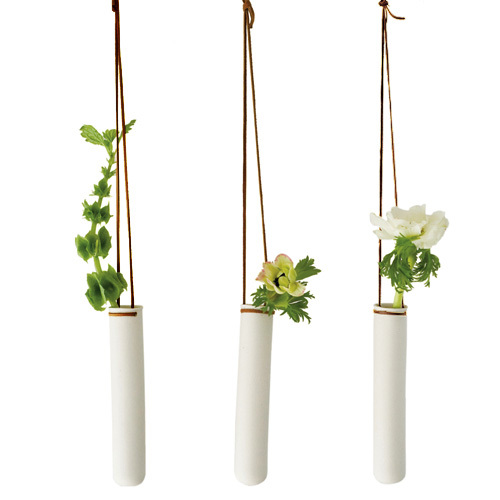 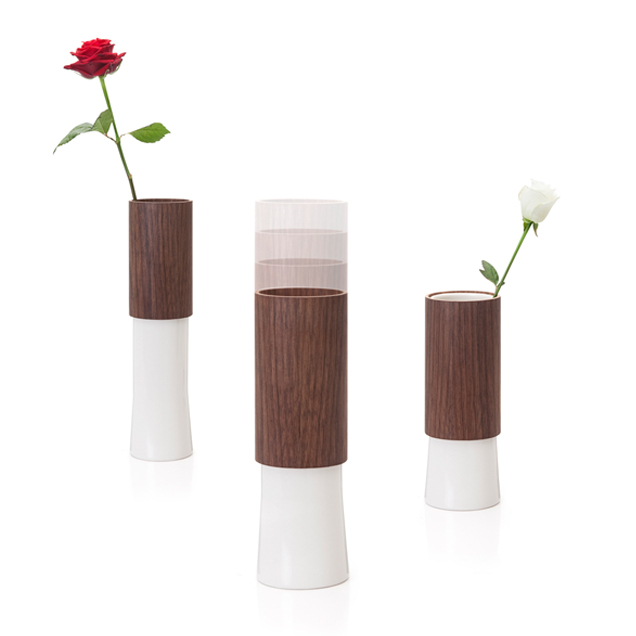 Stemvase: A simple and subtle design vase that highlights the beauty of a single flower. 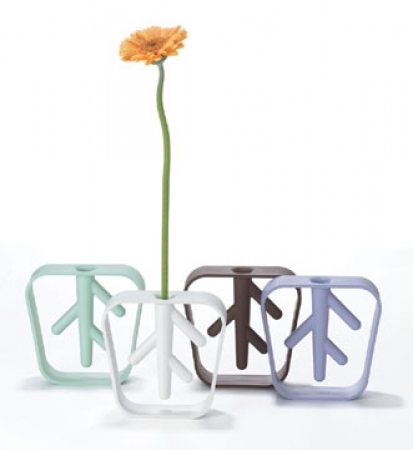 Nekko Flower Vase: A clever vase from +d that's designed to resemble a plant's roots in a vase. 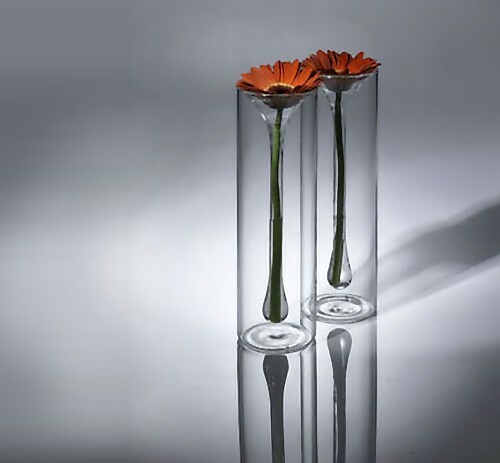 Galeri Vase: An unusual vase that was inspired by the shape of a perfect rose; it's made of two pieces, an inner and an outer vase, that can be used separately or one inside the other. 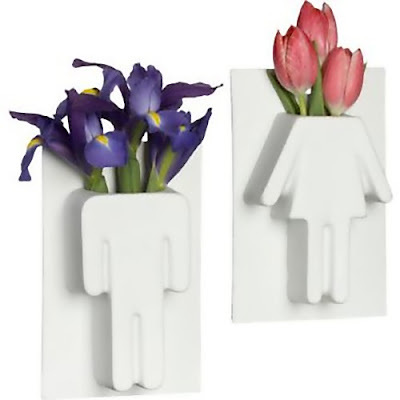 His 'n' hers Vases: "His 'n' hers", 3-D conceptual vases in matte white porcelain. 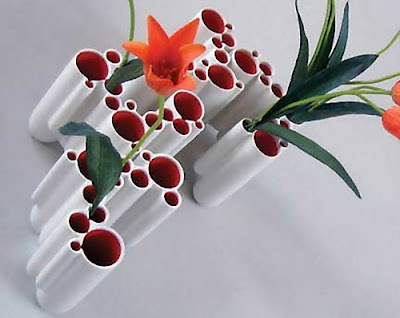 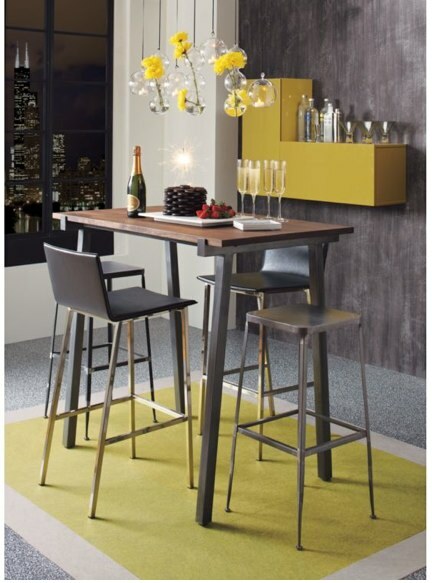 Don't miss to check out "Awesome Vases and Unique Vase Designs - Part: 1| 2| 3| 4."